King David Kalakaua proclaimed that hula was the “heartbeat of the Hawaiian people”. These words that will be echoed many times during this Annual Merrie Monarch Hula Festival and many Merrie Monarch’s to come. At the time the King uttered those words the Hawaiian Nationals of Kanaka Maoli blood had been seriously depopulated. Historians and journals have documented the tragic decline by drawing attention to foreign interference among the natives of these islands. From venereal disease to alcohol, from the common cold to the foreign culture of land ownership and money. The great King in those terrible times makes a startling statement and moves to bring back the hula culture and the practices of his people. Well, thank your majesty for being so bold! We are the better for it! We should be so proud of King Kalakaua for reviving the hula which is the “heartbeat of the Hawaiian people” so that we might live and that the hula would circle the globe as his majesty did way back in 1881. Do you think the Republic of Hawai’i would have revived the “heartbeat of the Hawaiian people”? Seems like they were more interested in bringing about a communal heart attack. 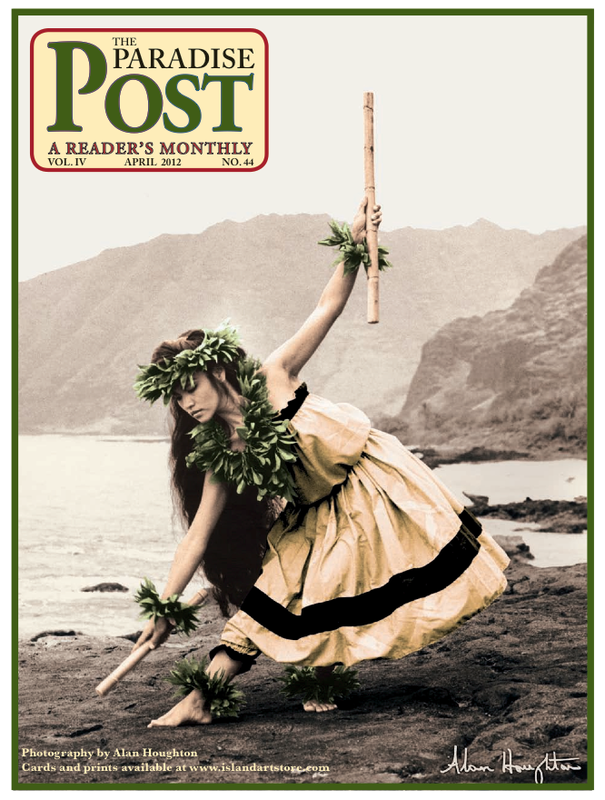 Do you think the territory of Hawaii was interested in reviving the “heartbeat of the Hawaiian people”? Seems like they were more interested in helping themselves to Ali’i Trusts that they did not create, banning the Hawaiian language, twisting the truth about just how did the American flag get to be on top of our Iolani Palace. They were writing their journal of Hawaiian history lest we forget that they were in charge now. My friends, today in Pahoa at a place called Angel Farms, a woman named Cindy Sellers along with her husband Larry, Amy, Anthony, and Ali’i Okana Kaliko Kanaele of the Royal Order of Kamehameha 1 are demonstrating that the “heartbeat of the Hawaiian people” needs to be extended to include the whole person and the whole population, the whole world. Through a process that calls for the internal cleansing of the body and the implanting of good natural minerals a person can become a new child of the land in a new century of possibilities! I myself went through this 10 day cleanse two years ago. I was urged by Ali’i Kaliko for years until I finally said yes. I was in terrible health, high blood pressure, high hernia (thought it was a heart attack), obese, back problems, borderline diabetic, bad knee, high cholesterol, stressed out and struggling financially. It was a little weird at first. It was kind of like getting enemas from your Tutu’s for ten days. Eh no laugh! It was real! But was I saved! The stuff that I got out of body stunned me, shocked me and stimulated me to be a whole person again. As a Kumu Hula I understand that to me the reviving of “the heartbeat of the Hawaiian people” starts with me! But this is just not about a Cleanse but also a reawakening of Aloha in the mind, body and spirit. I became a believer and most of the health challenges I had are gone or are under control. My daughter Akala, who is also a Kumu Hula is presently on the 10 day cleanse because she has serious kidney challenges, stones and blockages. She is only 22 years old. After two days numerous blockages have been cleansed and removed from her body. She hasn’t felt so good in years. We as hula people need to remember that we are the “heartbeat of the Hawaiian people” which ultimately means that we need to become healthy of heart right now. What are we eating, breathing, drinking, smoking or believing in? By our example what are we teaching? If you are sick of looking for second opinions, doc’s that just drug you out? Why, not give the angels of Angel Farms a call at 808-965-0781 and revive the “heartbeat of the Hawaiian people”.